Tulle that's feather soft, intricate beading, delicate lace, dreamy silk and just the right amount of shimmer. These are a few of our favorite things. Our approach to bridal is laid back, but carefully curated. Spring Sweet Bridal is a collection of gowns inspired by our love of romance, unique details and eclectic silhouettes. Your dress should be a reflection of your personality and day to day style, so that you feel like you on your wedding day. 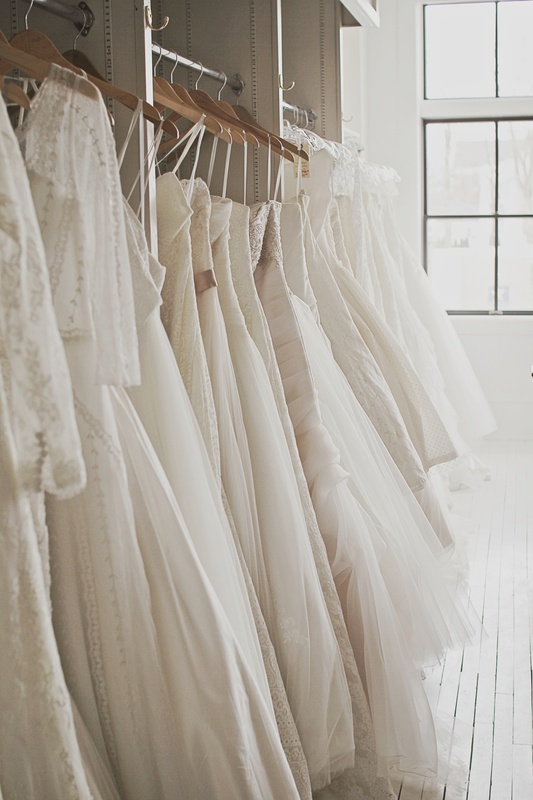 We want our bride to feel beautiful, effortless and loved. Divine Atelier, Ivy and Aster, Truvelle, Rose and Williams by Tara La Tour, Wtoo, Theia Couture, Laudae, Elizabeth Dye, Chantel Lauren, Romantique by Claire Pettibone, The LAW, Tara Lauren, Kite and Butterfly, Robert Bullock, Willowby by Watters, Blush by Hayley Paige, and Ti Adora.